While reading The Tea Master and the Detective, I completely latched on to the ways The Shadow’s Child has moved through her world. Her heartroom, her memories of her family, the ways she blends her tea, her favorite novels, the way she treats her PTSD as a scab she can’t help but pick at. I’ve become fascinated with AI and how the human brain works these last few years, so I’m glomming onto stories where the main character doesn’t so much smudge the boundary between human and AI, but lives in a world where there never was a boundary to begin with. They are simply themselves. The Shadow’s Child is herself, just like you or I are ourselves. She is a shipmind, she uses an avatar to walk around a station, and only the woefully ignorant would describe her as simply an AI. But wait, there’s more! The Tea Master and The Detective is more than just intimately multi-sensory worlding building, characters you’d happily read an entire novel about, and an exploration of how a shipmind copes with death, PTSD, and the unavoidably short lives of their human family members. How deBodard crammed all of this into only 90 pages, I have no idea, she must have have jammed a TARDIS or something in there to make space for everything. Also, I keep forgetting that the shipminds live for generations, for hundreds of years. As they age, their painted and carved bodies become archives and portrait halls of their human families. Do they see us as mayflies? Do they learn at a young age not to get too attached to us, because we will just die and leave them? Are young shipminds encouraged by their human families to become friends with another shipmind, so they’ll have someone in their life who is like them? On a slightly related note, the last Robin Hobb I read was Ship of Magic. It is a fantasy story, but the ships are alive. I didn’t continue in the series because some of the characters just pissed me off and I’m still recovering from the middle book of Hobb’s Soldier Son trilogy (it’s been more than 5 years! Why are my memories of Forest Mage still traumatizing?). But anyways, ships that are alive. Ships that carry their families, that care for their families, that live longer than individual family members, ships that stand between their family and death at sea. I wonder what the conversation would be like between a deBodard shipmind and a Hobb liveship. 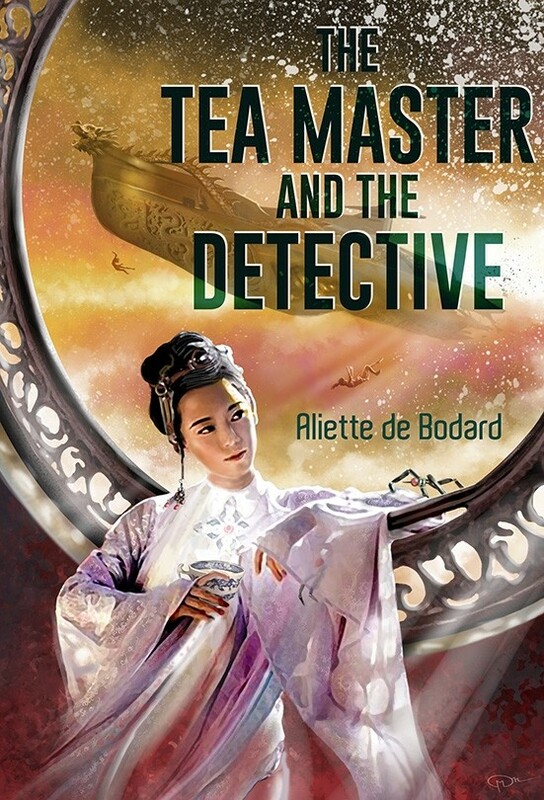 4 Responses to "The Tea Master and The Detective, by Aliette de Bodard"
Sounds right up my alley, though you don’t say much about the detecting aspect. I wonder if there will be an e-edition? there is a detective story, and it’s a good one! it involves a dead body, someone putting a lot of lives at risk, and how to figure things out about a person based on what is in their bedroom. ……and I’m quite interested. Pseudo-Stand-alone shorter fiction sounds great right now! And from what I can tell, ALL her Xuya books function as stand alones. there are some super short stories, maybe at Clarkesworld or Beneath Ceaseless Skies? give something short a try, see what you think, and if you like it, there is a ton more waiting for you.